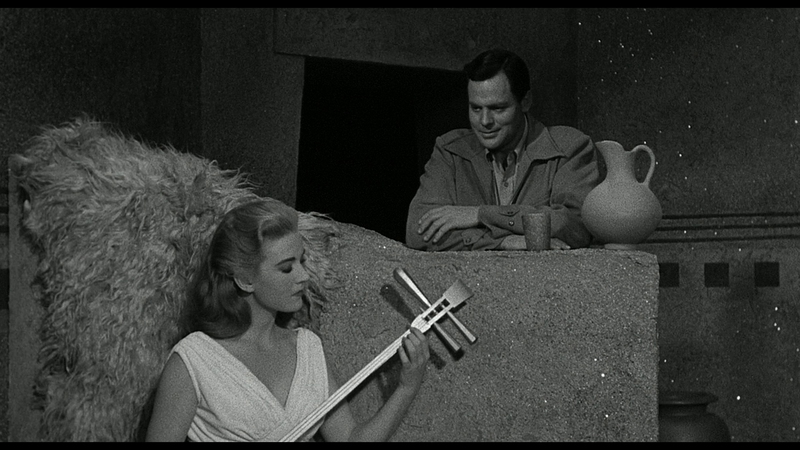 “Gods do not favor trading human beings,” spouts an incensed John Agar to his underworld captors, an early sign The Mole People is making a case against racism (if not well). Buried deep in a mountain highland – a noted contradiction – live an albino people susceptible to light. They enslave a race of mutants and send women to their death to appease the gods. So, Mole People sends in a group of average white men to diffuse this situation between the albinos and their darkened captives. It’s as ludicrous as a sounds. 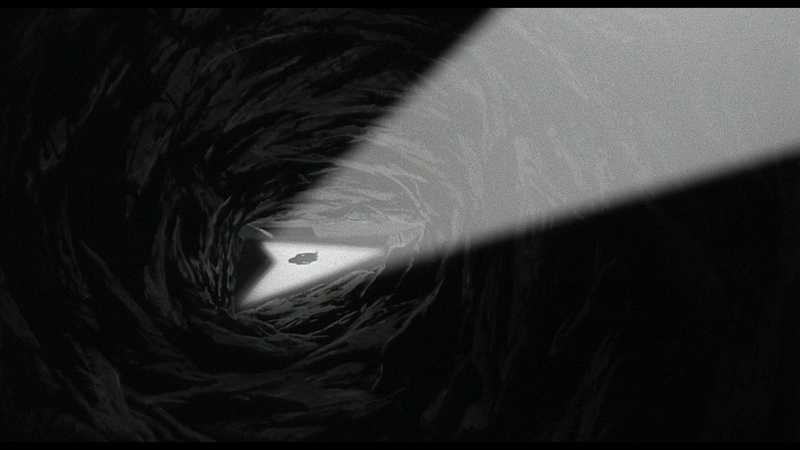 Mole People believes in what it’s doing though; therein lies camp value. The script sees nothing but positivity in stopping guards from whipping the mole people, referred to as “beasts of the dark.” The white men are infallible heroes for defending slaves against torture and realizing the ills of bigoted, religion-founded racism. Treating people of color as mutant moles, something to be rescued, incapable of speech, looks worse from afar as a piece of pre-Civil Rights cinema. As escapism, that’s inexcusable. 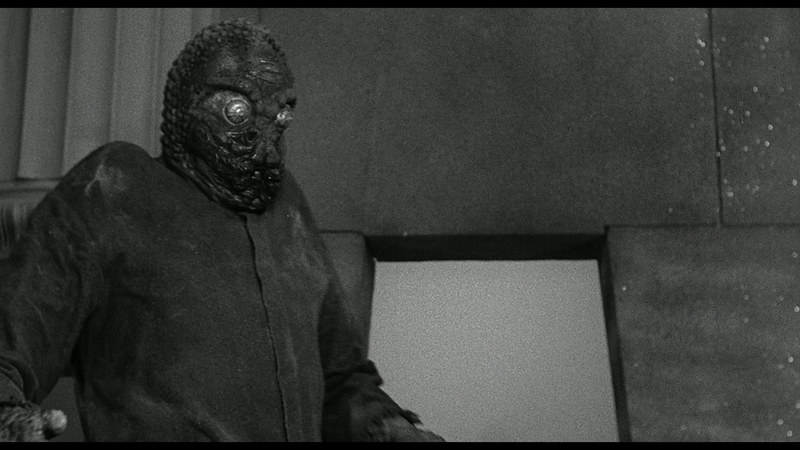 Time does not treat Mole People kindly, or with sympathetic eyes. 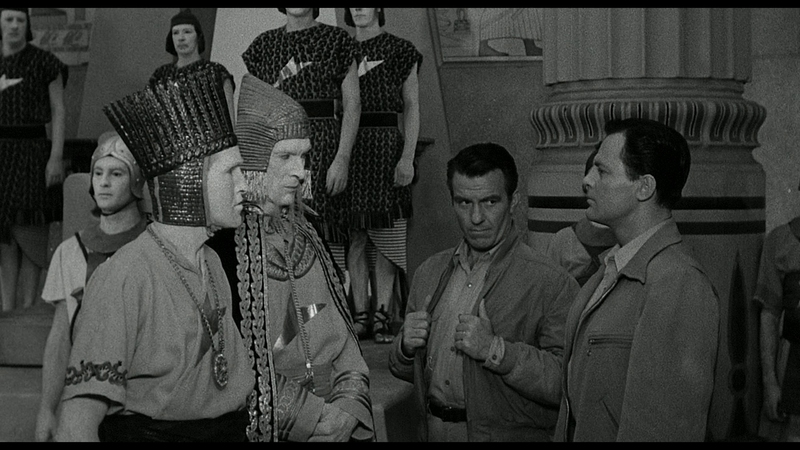 Note this all happens in the same movie where Agar and Hugh Beaumont travel to Asia (just Asia; nowhere more specific on the continent) with stereotypical Middle Eastern men in their employ. Then, below ground, the culture represents a blend of Egyptian and Chinese cultures, sensible given the locale, if racially cliched in creative ambition. Mole People regresses multi-culturalism, despite the intent at progress. It’s pitiful, really. 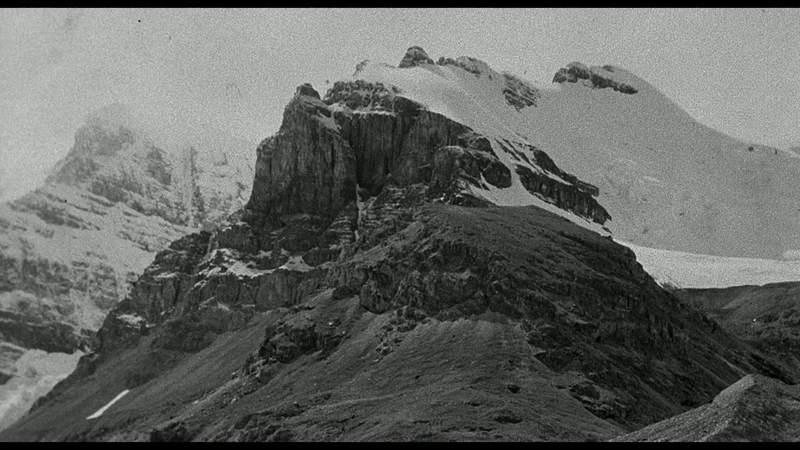 Stock footage is used for landscapes, taken from an Oscar-winning 1953 documentary concerning the first men to climb Everest. 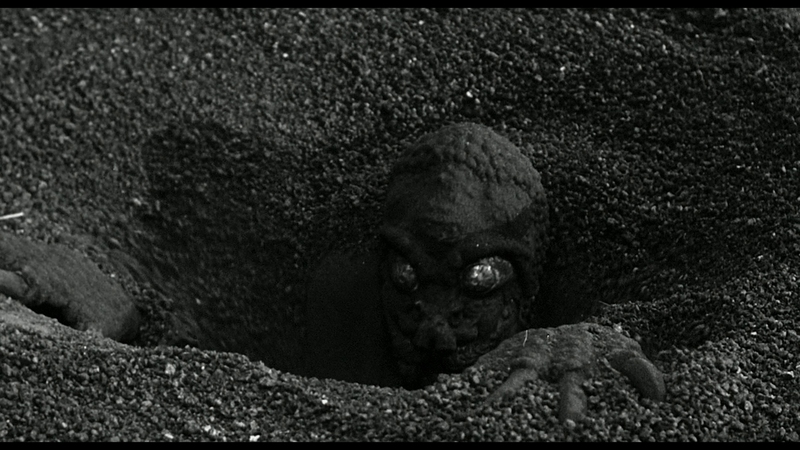 Even post-World War II, Mole People still treats “Asia” as an exotic, unknown, and impoverished land. Certainly, the budget doesn’t help. 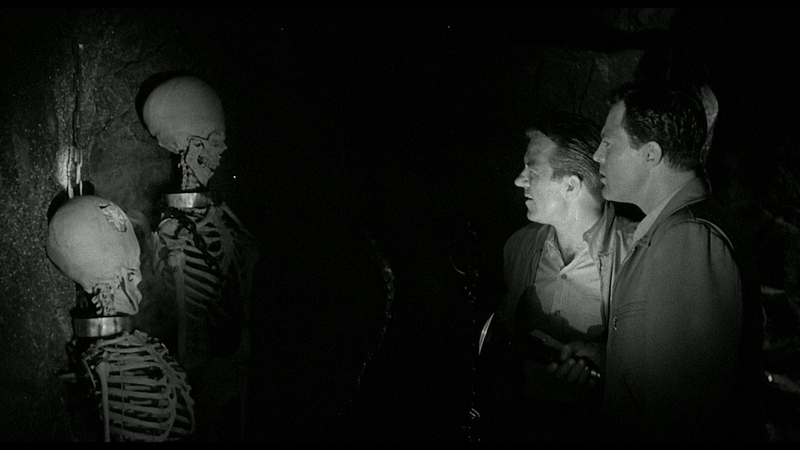 Mole People’s timing in 1956 marked the end of Universal’s tenure at the horror genre’s peak. After Creature from the Black Lagoon, the tidal wave of slop – some of it admittedly successful in entertainment value – started here. 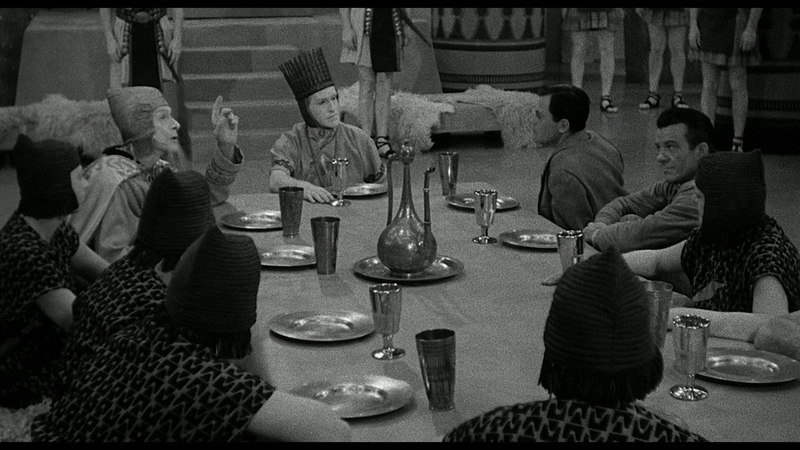 Cheap sets and costume leftovers make up the bulk of production design, salvaged only by puckering masks on the moles themselves. Those designs live on in pop culture, the only piece from this camp dud that deserves to. 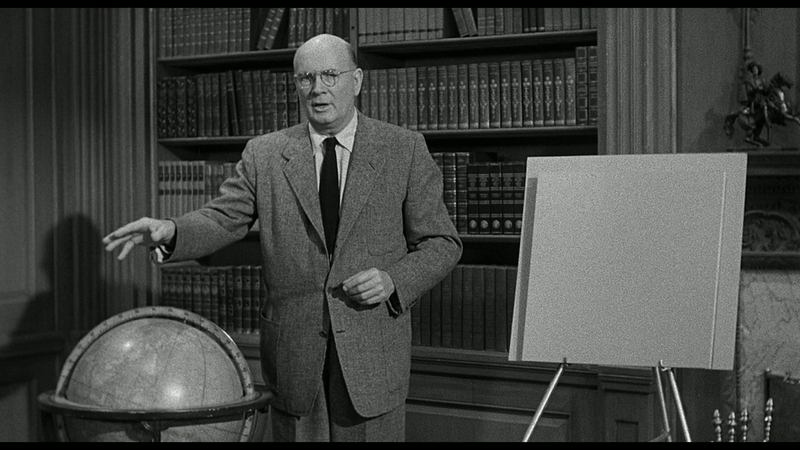 The rest is a regrettable lump of cinematic coal. Shout/Scream Factory must feel the same way about The Mole People. This Blu-ray is abysmal. 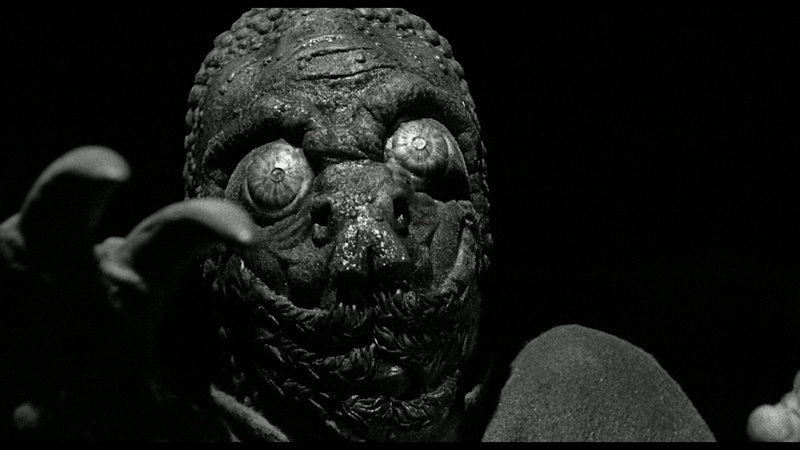 Two versions of Mole People feature on this disc. One of them is around 1.77:1, the other 2.00:1. The 2.00:1 chops off vertical resolution to no visible benefit, just loss. The 1.77:1 is true to the original exhibition, but cuts off pieces of the original 1.33:1 stock footage. That aside, this has the look of a DVD upscale, albeit with better compression. Grain is chunky and wholly digital in appearance. 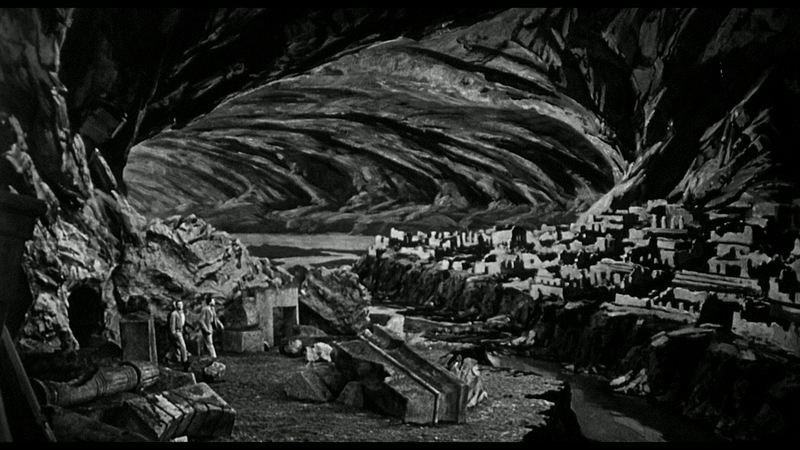 Resolution suffers, leaving Mole People starving for detail. A release print is used as the source, as evident by the reel markers, this in addition to an avalanche of dirt and scratches. Some ringing adds harshness to contrasting edges. Mole People looks every bit its age at a time when any number of boutique labels seek to give vintage cinema new life. If there’s a positive, that comes in the form of gray scale. This isn’t perfect. Gradients run tight and overly sharp, but at least some depth is attained. Light (and lack thereof) play crucial roles in telling this story. Both extremes fare adequately, although without true black, some analog-like rolling artifacts exist in the shadows. That’s a prevalent issue deep underground in tunnels where the pure black walls make up most of the frame. Presented in DTS-HD mono, the end result pairs well with the video. This is fairly rotten too. Withering dialog recedes, as if being spoken from within a coffee can. 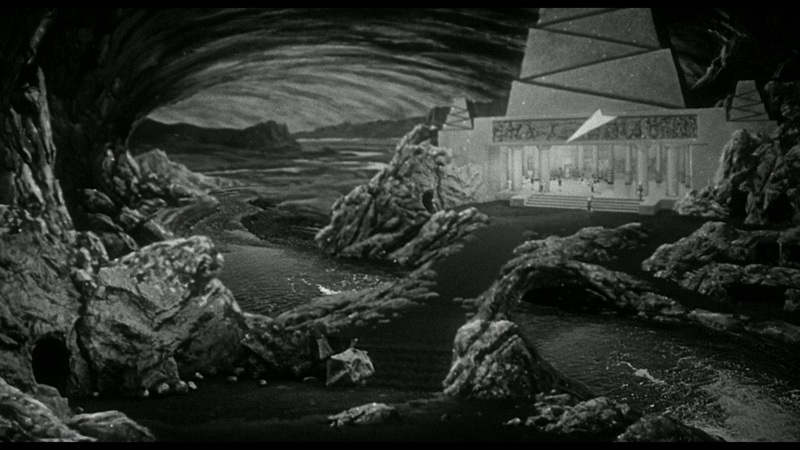 And the score (the best thing about The Mole People) cannot maintain clarity. The domineering drums lose all of their might, loose and almost totally gone. Highs fare no better. Strangely, neither side of the reversible cover art mentions the 18-minute documentary Of Mushrooms and Madmen, but it’s worth watching. It’s a nice compilation of interviews (including some vintage) and footage that tells how this one came together. Tom Weaver provides great, detailed commentary work, with occasional bits provided by pre-recorded guests. Further, the Mystery Science Theater 3000 episode featuring Mole People is offered, with a gallery and trailer not far behind. 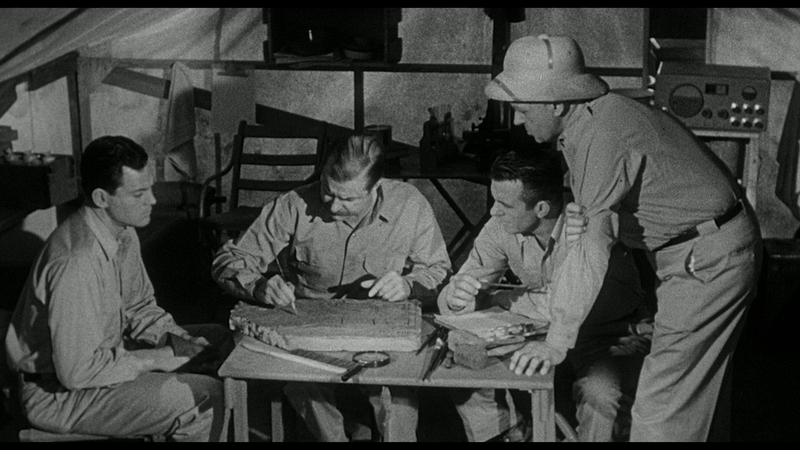 Trying to link guilt over slavery and racism in a sci-fi adventure, The Mole People chugs along oblivious to its own ignorance. 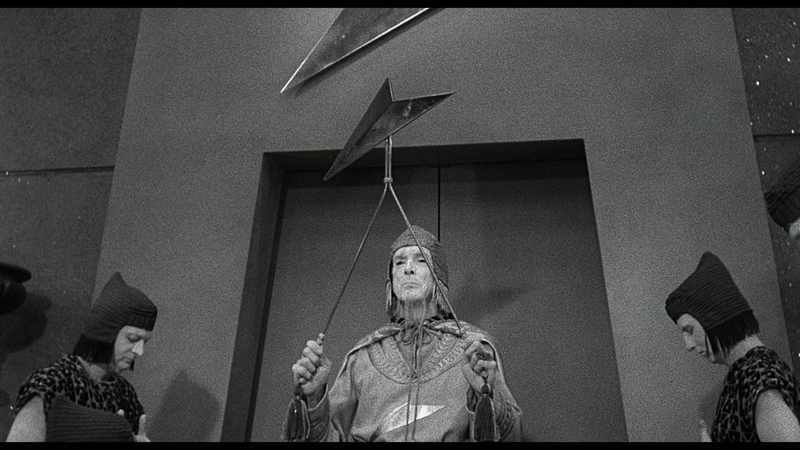 The 14 unaltered images below represent the Blu-ray. For an additional 19 Mole People screenshots, early access to all screens (plus the 20,000+ already in our library), 75+ exclusive 4K UHD reviews, and more, support us on Patreon.